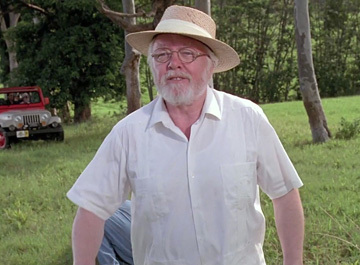 With a career that spanned over 60 years, Lord Attenborough was born August 29, 1923 in Cambridge, England, and he acted for 27 years before directing his first movie, Oh! What a Lovely War in 1969. He followed that with Young Winston and the acclaimed A Bridge Too Far as well as the highly-influential horror film Magic in 1978. It was his fifth film as director, the biopic Gandhi, where Lord Attenborough started getting greater respect for his filmmaking, winning two Oscars for producing and directing the film. The film would receive eight Oscars total including the sole Oscar win for Sir Ben Kingsley. Ten years later, Lord Attenborough directed Robert Downey Jr. to his first Oscar nomination in Chaplin. For many, it was Lord Attenborough’s acting roles that he’ll be remembered for including his Golden Globe award-winning roles in The Sand Pebbles and Doctor Dolittle in 1966 and 1967. Before that, he played many memorable roles in Brighton Rock, The League of Gentlemen and others. He had a late resurgence as an actor when he played Dr. John Hammond in Steven Spielberg’s Jurassic Park and its sequel, playing Kris Kringle in the 1994 remake of Miracle on 34th Street and a role in Shakhar Kapur’s Elizabeth in 1998.